Every year, over 1 million Canadian seniors and retirees pack up and move to the southern United States for the winter to enjoy the warm weather and avoid the freezing temperatures at home. However, while warmer climates can be a welcome escape, Canadian snowbirds need to be very careful of how much time they spend in the U.S., as overstaying your welcome can result in being deemed a U.S. resident for tax purposes and subject you to paying taxes in the United States even if you’re not a U.S. citizen. The good news is that advance planning and awareness of the correct U.S. residency rules can help you avoid falling into the snowbird tax trap. NOTE: If you have dual Canadian - U.S. citizenship you should already be filing a U.S. tax return to report your worldwide income, no matter how much or little time you spend in the U.S., so the options below won’t apply to you. Unfortunately, many Canadian snowbirds have been misinformed that if they simply spend fewer than 183 days in the U.S. in any given year, they will not be considered U.S. residents for tax purposes. This information is not true, and has caused thousands of Canadians to unknowingly violate U.S. residency rules, often leading to serious financial and emotional stress. If you’re hoping to slip through the cracks, think again. Canadian and U.S. border officials are sharing more information than ever, making it virtually impossible to hide from the IRS. Canadian snowbirds have three options to avoid being considered U.S. residents for tax purposes by the IRS. The first option is to avoid being considered a U.S. resident for tax purposes in the first place, while the second and third options offer exemptions if you could be considered a U.S. resident. The easiest way for Canadian snowbirds to avoid being considered U.S. residents for tax purposes is to make sure you don’t meet the IRS’s Substantial Presence Test. While the test is odd and confusing, it actually allows you spend significantly more than 183 days in the U.S. over the three-year period by giving less weight to days in previous years. If your total over the three-year period is 182 days or less, you will not be considered a U.S. resident for tax purposes, as you don’t meet the Substantial Presence Test. However, if your total for the three-year period is 183 days or more, you will be considered a U.S. resident for tax purposes under the Substantial Presence Test, which would require you to seek an exemption under Option 2, and possibly Option 3, below. NOTE: If you spend a fair amount of time in the U.S. each year, you should still consider filing Form 8840 to document and certify to the IRS that you were not substantially present in the U.S. under the Substantial Presence Test. You are not required to have a U.S. tax identification number to file Form 8840. In this example, Bob would not be considered a U.S. resident for tax purposes, as he is under the 183- day threshold for the three-year period. He should still consider filing Form 8840 to document this with the IRS. TIP: For U.S. residency calculation purposes, a day is considered to be a calendar day, not a 24-hour period! For example, if you enter the U.S. at 11:00 pm one night and return to Canada at 1:00 am the next morning, it counts as spending two days in the U.S. even though you were only there for 2 hours. Use our U.S. Residency Calculator - Snowbirds can quickly and easily check to see if you qualify as a U.S. resident for tax purposes under the Substantial Presence Test. Even if you get caught by the Substantial Presence Test, you can still get an exemption from being considered a U.S. resident for tax purposes if you qualify for and file a Form 8840 with the IRS. The official name of Form 8840 is the “Closer Connection Exemption Connection Statement for Aliens” but it is more commonly referred to as the Closer Connection Exemption. Essentially, filing Form 8840 allows Canadian snowbirds to stay in the U.S. for up to 182 days every year without being considered a U.S. resident for tax purposes (assuming you meet the criteria and file on time). Form 8840 is a short form that asks you a number of questions to support you claim that you have closer economic and personal ties to Canada than the United States. Form 8840 must be filed with the IRS no later than June 15 in the year following the year in which you qualified as a U.S. resident for tax purposes under the Substantial Presence Test. If you fail to file on time, you may be considered a U.S resident for tax purposes and subject to other penalties. Get a fillable version of IRS Form 8840 – Closer Connection Form. 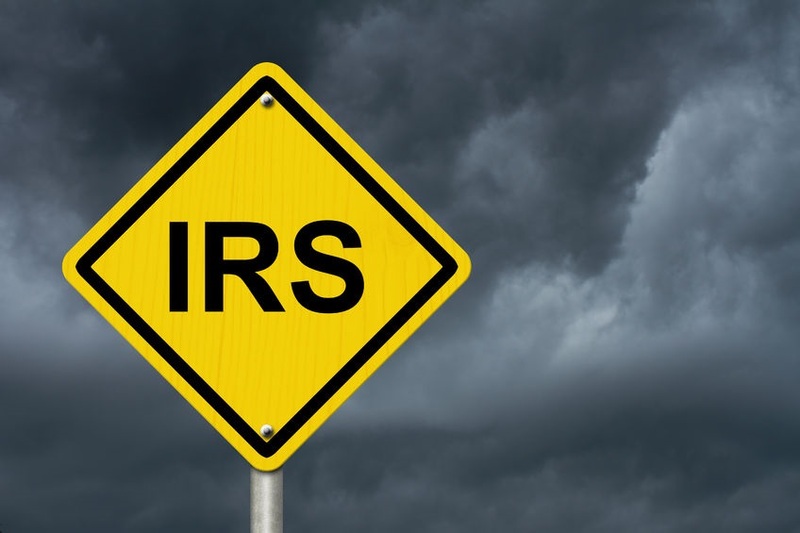 If you meet all of the criteria to be eligible for the Closer Connection Exemption and file your Form 8840 on time with the IRS, you will avoid being treated as a U.S. resident for tax purposes. If you don’t meet all of the criteria for the Closer Connection Exemption, and you are ineligible to file a Form 8840, you must look to Option 3 below as your third and final option for relief from being deemed a U.S. resident for tax purposes. Canadian snowbirds who spend 183 days or more in the U.S. in the current calendar year have one last kick at the can to avoid being declared a U.S. resident for tax purposes – File a U.S. Nonresident tax return (Form 1040NR) and claim an exemption under The Canada – U.S. Tax Treaty. In order to claim an exemption under the Canada – U.S. Tax Treaty, Canadians must File a non-resident U.S. tax return Form 1040NR and attach a properly completed Form 8833, called the “Treaty Based Return Position Disclosure”. You will need a U.S. Individual Tax Identification Number (referred to as an “ITIN”) to file these forms with the IRS. This option is by far the most onerous and complex to complete and will likely require you to incur the time and expense of hiring a U.S. tax professional to assist and advise you. Form 1040NR and Form 8833 must be filed with the IRS no later than June 15 in the year following the year in which you qualified as a U.S. resident for tax purposes. If you fail to file on time, you may be considered a U.S resident for tax purposes and subject to other penalties. Whenever possible, Canadian snowbirds should avoid being considered U.S. residents for tax purposes. As mentioned previously, your best options are to ensure you do not meet the Substantial Presence Test or to qualify for the Form 8840 Closer Connection Exemption. Avoid having to rely on the Canada – U.S. Tax Treaty whenever possible. While filing a Form 8840 Exemption may be a little more work than simply not meeting the Substantial Presence Test, the filing process isn’t particularly difficult or time consuming, and allows you to spend more time in the United States. It’s a common practice, and 1,000s of Canadian snowbirds file a Form 8840 every year. Avoiding U.S. tax issues should never be a problem for snowbirds as long as you plan ahead and take the time to understand and follow the IRS rules.